Audiences come to story with the hope of experiencing the new. Key to drawing them in and keeping them there lies with the proper application of the Main Character’s perspective. Lose sight of the Main Character and writers risk losing their Audience. A disturbing trend of late seems to be on the rise within narrative fiction: that of the undefined or ill-defined Main Character Throughline. The Croods, End of Watch, Prometheus, and the latest James Bond thriller Skyfall all fail to offer Audiences consistent points-of-view from their Main Characters. Sure, they might entertain us with visual delights from worlds light-years away or they might engage us viscerally with uniformed life on the streets of L.A., but without consistency in where we witness these events from the experience falls into insignificance. As popular as Skyfall was, what exactly was the film trying to say? Failure to recall key moments or arcs of character often indicates a failed and broken story. Try it with this latest Bond film and consternation surely ensues. The film began as an exploration of what it means to be at the end of one’s career—a new young hipster Q, the physical struggle to keep up with the demands of the job (holding on to the elevator platform)—but then somehow lost track. The story clearly sets up the issues of Bond aging out, yet for some reason forgot to address these problems shortly after the first act turn. Like an amusement park ride, Skyfall offers thrills, chills and spills, that last for a moment yet ring hollow days after. Story can be so much more. The Main Character offers more than simply someone to cheer for. This unique and central character grants the Audience a way into the mind of a story. Dramatica theory (Narrative Science) suggests that the Main Character holds the first-person “I” perspective on the problems within a story. From this point-of-view the Audience gets to experience what it is like to personally face this issue. Contrast this with another important perspective, the “You” point-of-view offered by the Influence Character. The Audience does not experience what it is like to actually be this character, but rather watches what this character does and how they behave. This experience of watching another work through a problem “influences” us the Main Character (as the Audience we have assumed the collective position of the Main Character) to reconsider our own issues and how we approach them. Thus, the Main Character Throughline offers the Audience a reference point from which to interpret everything that happens on-screen or in print. When arguing a particular approach to problem-solving it becomes necessary to establish who we’re looking at and who is looking at us. Conflict does not occur within one viewpoint but rather between disparate viewpoints. You and I. Because of this reality, perspective regions supreme. Baz Luhrman’s take on The Great Gatsby should prove to be interesting. Will he repeat the all-too-common mistake of interpreting Nick Carraway’s narration as simply that: narration? Most adaptations fail to see the thematic connection between Nick’s point-of-view and the rest of the story. From the looks of the film’s the trailer (set to release in May 2013), it appears as if the great Gats himself (Leonardo DiCaprio) will assume the Main Character’s point-of-view while Daisy Buchanan (Carey Mulligan) will take on the Influence Character role. This runs counter to what can be found in the original novel. According to the official Dramatica analysis of The Great Gatsby, it is Nick (Tobey Maguire in the film) that operates as the Main Character while Gatsby actually takes on the Influence Character role. True, we get hints of a first-person perspective from Nick (Tobey Maguire) within the trailer, but the majority of scenes depict the struggles of Gatsby and his relationship with Daisy. Altering these key points-of-view threatens the meaning of the story. Classic novels claim their immortal status for a reason. Are we looking at Gatsby and his over-the-top actions, or are we experiencing what it is like to be someone who acts that way? The answer to that question will define what the Audience appreciates from the story’s events. Altering the perspectives because of a fascination with a particular performance (which seems to be the case here) can lead to confusion over the message of a story. Consider Neil Simon’s classic Barefoot in the Park and the Main Character of that story: Paul Bratter (Robert Redford). Clearly the original play called for us to see Corie (Jane Fonda) through Paul’s eyes: Simon went so far as to even call Paul out for being a “watcher, not a Do-er.” Yet here too, the adaptation devoted so much of its attention on Fonda’s inspired and captivating performance that it lost sight of Paul’s personal issues. Many probably don’t even remember what Paul’s issues were (assuming they’ve even seen the film). The Dramatica analysis of Barefoot in the Park correctly identifies Paul’s issues of being overly-responsible when it comes to juggling time spent with his new wife and time spent with his new job. His fuddy-duddy “stuffed-shirt” nature runs counter to Corie’s vivacious and randy ways and drives a huge wedge into their six-day old marriage. Coming to terms with this dysfunctional way of thinking and appreciating the value of freely running barefoot in the park resolves the problems within the story. 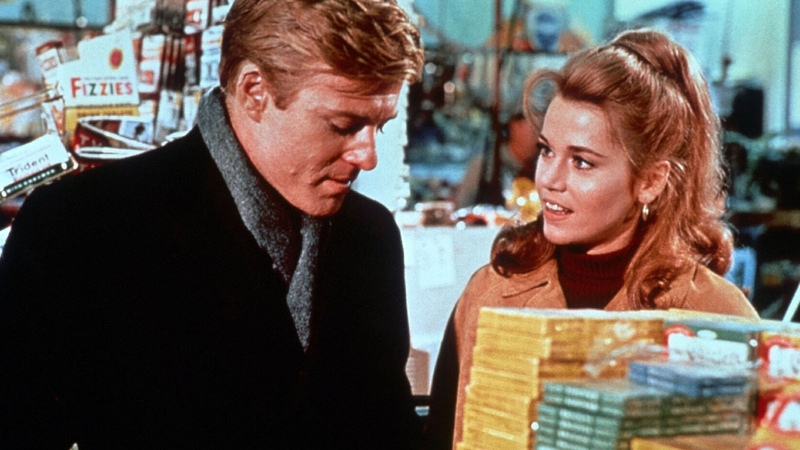 Unfortunately the concentration on Fonda’s performance undermines this message—something clearly important to the original Author (why else would he title it “Barefoot in the Park”?). Like Bond in Skyfall, Paul’s struggle falls to the wayside threatening the Author’s original intent in the process. Part of the problem lies in the fact that this film originally existed as a play. It becomes rather difficult to establish perspective when the Audience’s actual point-of-view towards the performance of a play remains fixed (i.e. in their seats, watching the stage). Short of extended soliloquies the stage offers little help for writers attempting to center their Audience. In film, shot selection and composition can set and delineate perspective concretely. In The Shawshank Redemption the Audience experiences what it is like to walk the long hall down to a parole-board meeting and what it is like to become friends with a cold-blooded killer like Andy Dufresne by witnessing these events through Red’s eyes. Like Nick’s narration in The Great Gatsby, Red’s narration offers a glimpse into what it is like to think like an institutionalized man—supporting the system instead of standing up against it. The same technique could have been applied to the film adaptation of Barefoot in the Park with great effect. Occasionally the writer affords the Audience this viewpoint—the Staten Island ferry scene wherein Paul confesses Corie’s apparent sins to his mother-in-law (“Just look at her”)—but scenes like this come few and far-between. Thankfully—and quite unlike Skyfall—Paul’s throughline comes full circle. The resolution of his throughline mixes with that of the larger story granting the Audience a satisfying and emotionally fulfilling ending. Writers must keep the point-of-views solid throughout their stories lest they wish to severely disorient those engaging with their work. Centering the Audience with the conflicting perspectives of both Main Character and Influence Character helps clarify what the Author wishes to say with their work. Audiences want meaning, they want something more from their stories. Authors have the ability to provide them with this unique gift—they only need to better understand how to package it.